Property management applications and property management SaaS providers are perfectly suited to integrate with a payment aggregator or PayFac, aka Payment Facilitator, because their requirement for a simple way to process on-going monthly payments is essential to their business model. And an integrated payments solution – such as Payfac in a Box™, easily solves for that need. Payment Facilitation also known as Payment Aggregation allows any real estate or property management application to enroll and set up sub-merchant accounts to accept payments with both credit card and ACH very quickly. By partnering with the right payment facilitator, real estate applications can easily onboard their entire user base of real estate merchants, making for a frictionless payments experience. This is a critical customer acquisition tool and a major benefit to the end-user of any real estate related software system, in this case, any renter needing to pay their monthly rent. Real estate companies and property managers need an easy way to complete contracting, onboarding, and manage monthly lease payments. The Singular BillPAY APIs built into a custom Payfac in a Box™ integration, make this an easy process for your developers and your users who need to pay bills. Our system includes the ability to settle into different DDAs if each property, or set of properties, is tied to their bank account. By providing the raw processing data back to you as the software developer, it allows you to AUTOMATE memo posting and updating of financial and accounting reporting to your property manager. This reporting functionality also cuts down on the expense of year-end accounting at tax time. Rent payments are recurring/monthly and tend to be the largest bill a consumer pays and collecting these payments on-time, every time is essential to a smoothly running property management business. There are so many ways a PayFac software integration works for real estate SaaS systems. -Property managers can charge convenience fees for paying online – added revenue! -Property managers can easily send reminders and statements to tenants via text or email with a link to make payments on a mobile device or computer. -Online portal for tenants to review payment history and make a payment. -Enjoy more on-time payments and get paid faster. -Can take “HOA or Special Assessment” payments and have them deposited directly to separate bank account. -Ability to split settle to deposit money into two different bank accounts on the same transaction. -Sub merchants of a real estate SaaS system enjoy a simple click-to-agree sign-up process- learn more about our process. -Paying via electronic payment is much quicker, simpler, more convenience for the renter. -Renters can schedule a recurring payment. If you are a software provider in the property management space and either aggregating transactions or in referral acquiring/processing model, then we need to talk! If you are considering becoming a PayFac, then we really need to talk!! 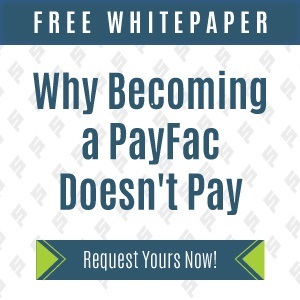 Grab our new whitepaper, “Why Becoming a PayFac Doesn’t Pay,” for free now to learn more. The Cryptocurrency Conundrum Part 1 | What is cryptocurrency and how/why did cryptocurrencies emerge?